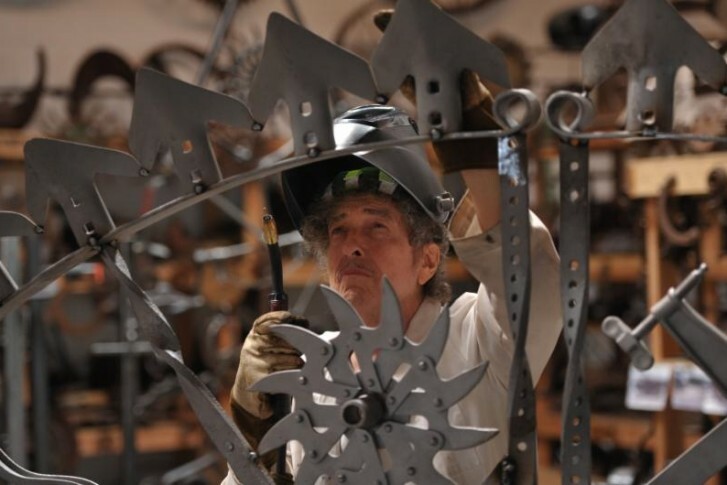 Bob Dylan is creating his first permanent sculpture exhibit at the MGM National Harbor casino. WASHINGTON — A metalwork sculpture by legendary musician Bob Dylan will get a prominent place at MGM’s National Harbor casino. Dylan is creating a sculpture called “Portal,” a 26-foot by 15-foot sculpture that will be part of the casino’s west entrance. It is Dylan’s first permanent work of art for a public space. MGM did not say what it paid for the commissioned piece. Dylan has been sculpting metal pieces for private display for 30 years. His first publicly displayed work was in 2013 at London’s Halcyon Gallery. A statement says Dylan collects everything from farm equipment to toys, kitchen utensils, cogs, axes and wheels for his sculptures. Dylan is also a painter who has exhibited his works for two decades. Dylan’s sculpture will be among works from more than a dozen artists that will be displayed at MGM National Harbor. The $1.3 billion MGM National Harbor casino is expected to open in December.